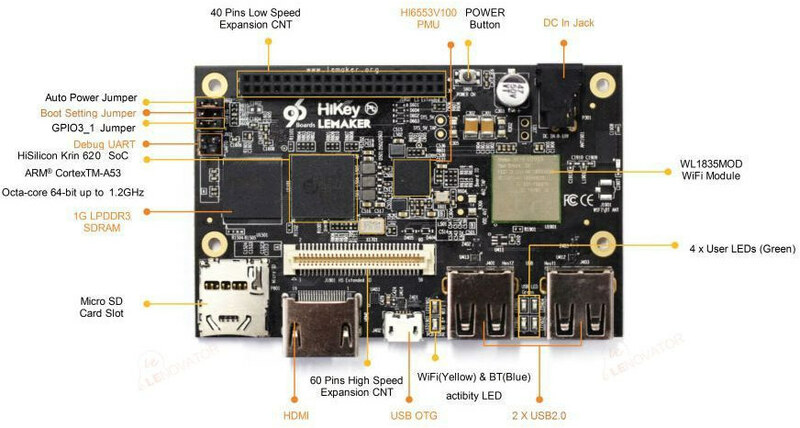 Hikey was the first 64-bit ARM development board compliant with 96Boards specifications, and supported by Linaro. Availability always seemed to be an issue however, and pricing was set to $129. 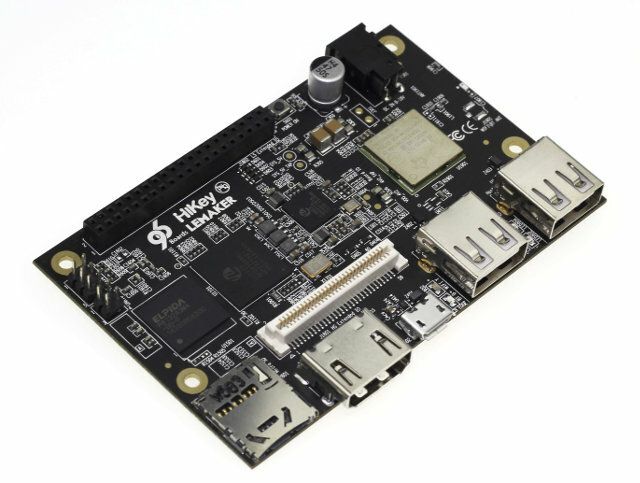 But Lemaker, the makers of Banana Pi boards, recently joined Linaro, and they’ve built a lower cost version of the Hikey board, still featuring Hisilicon Kirin 620 octa-core ARM Cortex-A53 processor, but with 1GB and 2GB RAM versions, priced respectively at $75 and $99. The new version of the board also increases the internal storage from 4GB to 8GB. The board supports Android 4.2 & Debian Linux, and you can find technical documentation, binary images, and source code on the Wiki. Nicolas Charbonnier (Charbax) is at Linaro Connect SFO 2015, and he interviewed LeMaker co-founders about their Hikey board, but they also brought a suitcase with most of their board including Banana Pi, Banana Pro, LeMaker Guitar (Action Semi S500), and LeMaker Piano (Freescale i.MX6). They currently have a limited number of 1GB boards going for $75, but 2GB are currently out of stock, and listed for $99, and broad availability of both versions is scheduled for November 2015. The only difference between the two boards I could find is the amount of RAM, so you’d pay $24 for one 1GB extra RAM, which seems a bit stiff. Shipping and handling are not included in the price, and in my case would add $20 to the cost. The Qualcomm based DragonBoard 410C (96Boards) will also be $75, and go into mass production in Q4 2015 (end of year). I really miss Ethernet ports on 96Boards. Does anybody know what happened in the IP battle between LeMaker and SinoVoip? In the forum of Lemaker and on their webpages all such items seem to have disappeared while SinoVoip still holds up their allegation. Good. My first aarch64 board right there (the 2GB version).